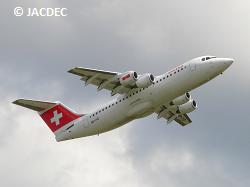 The Swiss aircraft was on ILS approach to runway 10 at Nuremberg Airport (in class „D“ airspace) in good visibility, when tower controller issued a traffic advisory reporting another aircraft is crossing their flightpath from left to right at 3000 ft. AMSL. 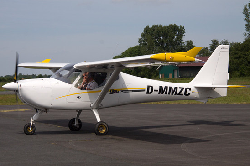 The other traffic was an ultra light plane flying with two persons on board from Herzogenaurach to Donauwörth and intended to cross the Nuremberg terminal (tower) controlled area. 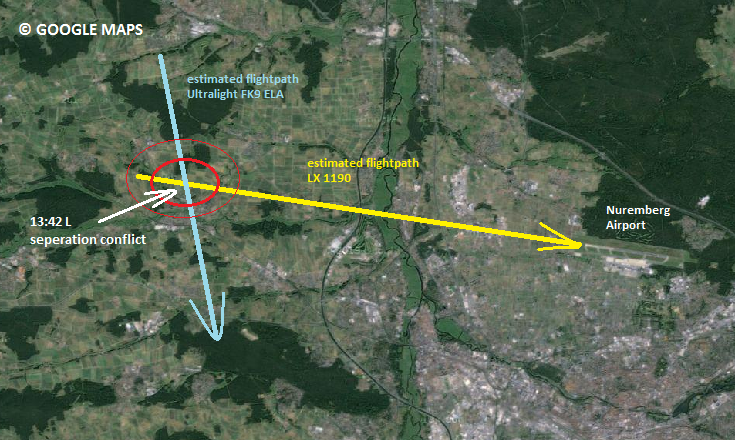 The Swiss crew reported the other traffic in sight while the smaller ultralight aircraft – Fk9 ELA – did not have visual contact to the approaching airliner. 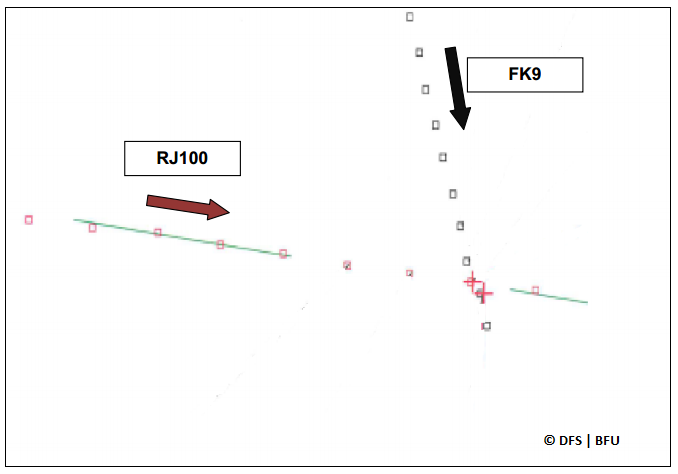 The Avro Jet continued the approach until the pilots received a traffic resolution advisory (RA) by collision avoindance system TCAS suggesting to avoid the potential conflict by initiating a climb. 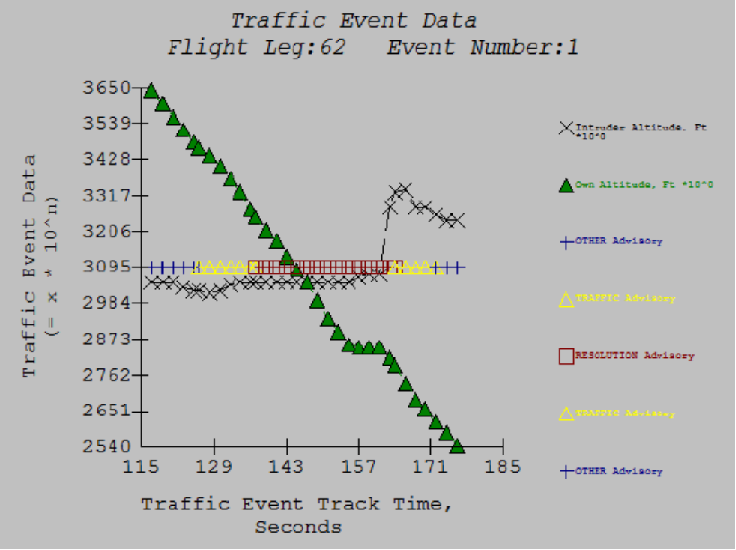 However the pilots felt the other aircraft already was above their altitude and therefore steepened their descend below the glide path. Both aircraft missed each other by 200 feet vertically and 425 feet (130 meters) horizontally . The Avro Jet and the FK9 ELA continued their flights without further problems.